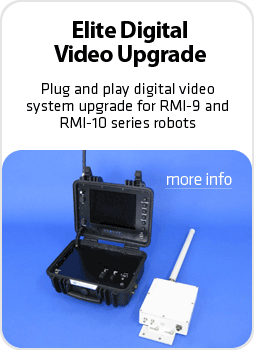 Pedsco (Canada) Ltd. - Over 30 years in the robotics industry! Pedsco (Canada) Ltd. 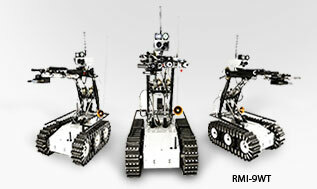 Produces Remotely Operated Vehicles (ROV) under the brand name RMI (Remote Mobile Investigator). 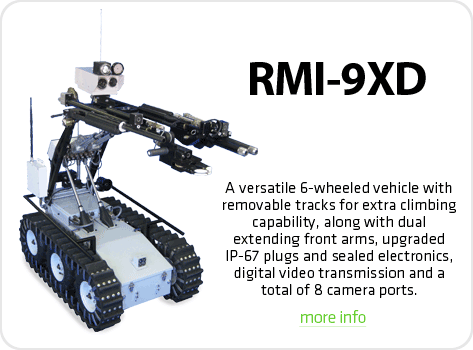 Pedsco Produces the RMI-9 series and the RMI-10 series of remotely operated vehicles. The RMI’s are Remote Mobile Investigators that are used by Police, Fire Departments, Military, Nuclear and Industrial Institutions world wide. They are lightweight, battery operated, multi-purpose vehicles that have proven to be ideal for the remote handling of Improvised Explosive Devices, Hazardous Chemicals, Radio Active Materials, Fire Fighting, Hostage Situations, Hijackings, and other Hazardous Situations. The RMI-9 and RMI-10 have been chosen by experienced technician’s world wide due to dependability, simplicity, and ease of operation. © 2019 Pedsco (Canada) Ltd. All rights reserved.